J.D. Power Ranked Window World Highest in Customer Satisfaction with Window and Patio Door Retailers. Window World proudly offers financing options through the Window World Credit Card Program, allowing you to start enjoying your new products now. As a Window World Card Holder, you'll be able to enjoy benefits like convenient monthly payments, a revolving line of credit for all of your purchasing needs, and special promotional offers where available. Bay and Bow windows are a transformative option for any home. An instant addition of space, they provide a dramatic focal point. Enhance and expand your interior space, light and view of the outdoors. Bring in natural light and a more open view of the outdoors with Window World Casement windows. Our Casements include slimline-designed frames, among the narrowest in the industry, maximizing glass area for a generous infusion of daylight. The Fiber-Classic® door revolutionized the door industry, pairing the strength of fiberglass with the traditional style of oak or mahogany. Made with a solid polyurethane foam core, these doors have four times the insulating value of wood. "We were extremely pleased with everything, especially how quickly and efficiently everyone at Window World worked to ensure that our windows were the very first project completed!" "The outside elements stay out, as well as the outside noise." "Our Congregation Absolutely Loves the Windows"
"I had to write to thank you for the amazing service I had from you and your Window World Company." "I would recommend your windows and quality of service to everyone. No question, Window World is the only way to go for the best and most affordable replacement windows! Excellent service!" "Everyone involved was fantastic, helpful and professional, and I recommended 2 people to Window World prior to installation." We all love the view of the outdoors that windows allow, but recognize that with more glass comes more exposure to the temperature fluctuations of the outdoors. Our SolarZone™ insulating glass packages are designed for superior thermal performance, keeping window openings both beautiful and energy-efficient. For many of our customers, the hardest part of the home improvement process is visualizing what the final product will look like. With Window World's unique Design Software, envisioning new products on your home becomes as easy as a few clicks of a mouse. Window World proudly offers financing options through the Window World Credit Card Program, allowing you to start enjoying your new products now. As a Window World Card Holder, you'll be able to enjoy benefits like convenient monthly payments, a revolving line of credit for all of your purchasing needs, and special promotional offers where available. 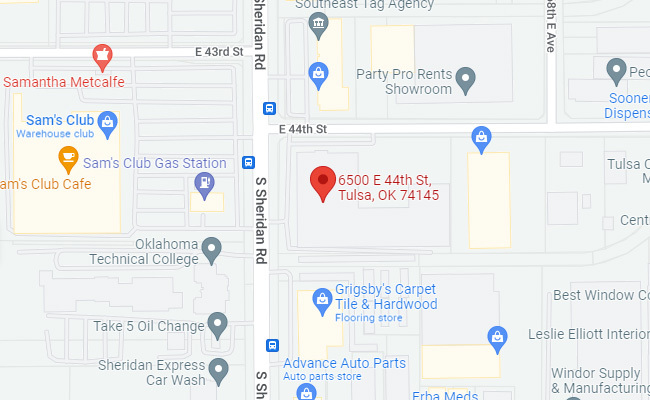 Window World of Tulsa is a locally owned and operated franchise, proudly providing exceptional value, expertise, and service from our Tulsa location. We offer free, no-pressure in-home consultations in Muskogee, Rogers, Tulsa, and Wagoner. Since our start in 2011, Window World of Tulsa has grown to be one of the largest home improvement resources in the region. With Various colors and styles, we provide countless combinations of exterior solutions. Our products are designed to increase the performance of your home, bringing energy efficiency and functionality to new heights. Window World is the nation's largest replacement window company, as seen in Qualified Remodeler Magazine. Our local presence ensures we are experts on the unique needs of our customers, while our network of over 200 window world locations across the country provides the strength of an industry-leading company. This Window World® Franchise is independently owned and operated by Window World of Tulsa, Inc d/b/a Window World of Tulsa under license from Window World, Inc.